Cpl Stephen Swanson and Dani have been on many working adventures, searching for bodies deep in Biche’s forests or climbing Debe’s hills. 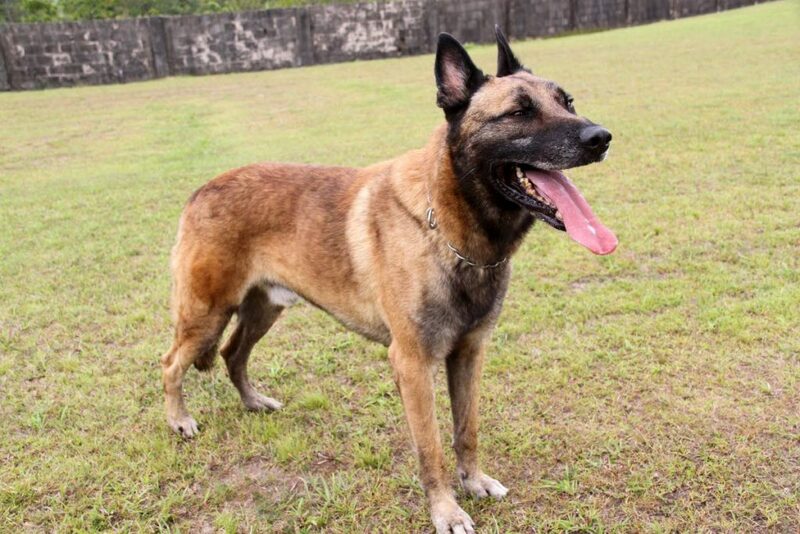 DEEP inside Camp Cumuto lives Dani, a muddy-brown Belgian Malinois with a black airbrushed face and ears. 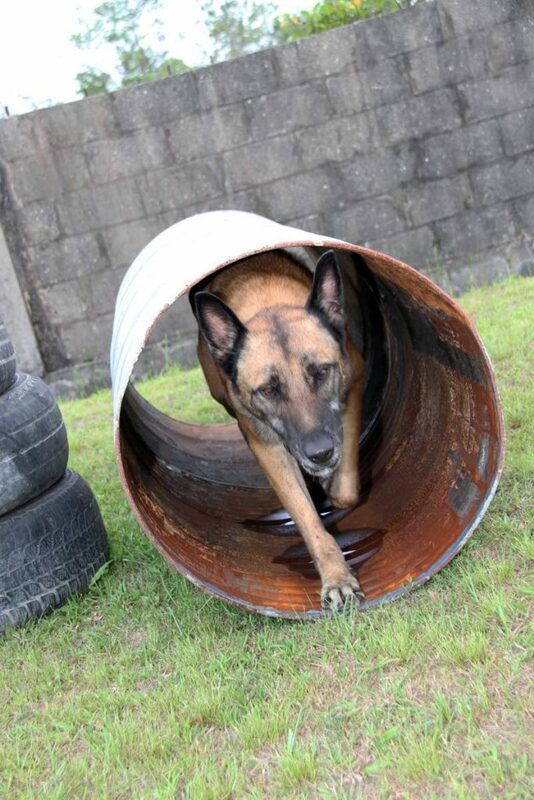 Dani appears to be an ordinary dog, but he performs a job in the police Canine Unit that no other dog can do: Dani is a cadaver dog who searches for bodies. He’s the only cadaver dog in the country since his partner Jack, a successful cadaver dog who found a body last year with Sgt Raphael Mohammed, recently died. The remote area where Dani lives is now occupied by the TT Canine Police (TTCP) Training Centre. The media have credited Dani with finds, but to date, this seven-year-old, playful working dog with a streak of white on his jowls hasn’t actually discovered any bodies. “Once the dog is on the scene and a body is found, the story comes out (that) the dog found the body,” says Cpl Stephen Swanson, Dani’s handler. From 2015 to now, Swanson and Dani have answered 26 calls. “He never officially indicated (the canine term for making a discovery), but after we left an area, nothing was ever found, so officially, Dani hasn’t missed anything,” says Swanson. Like all dog handlers, Swanson has unwavering faith in his dog. 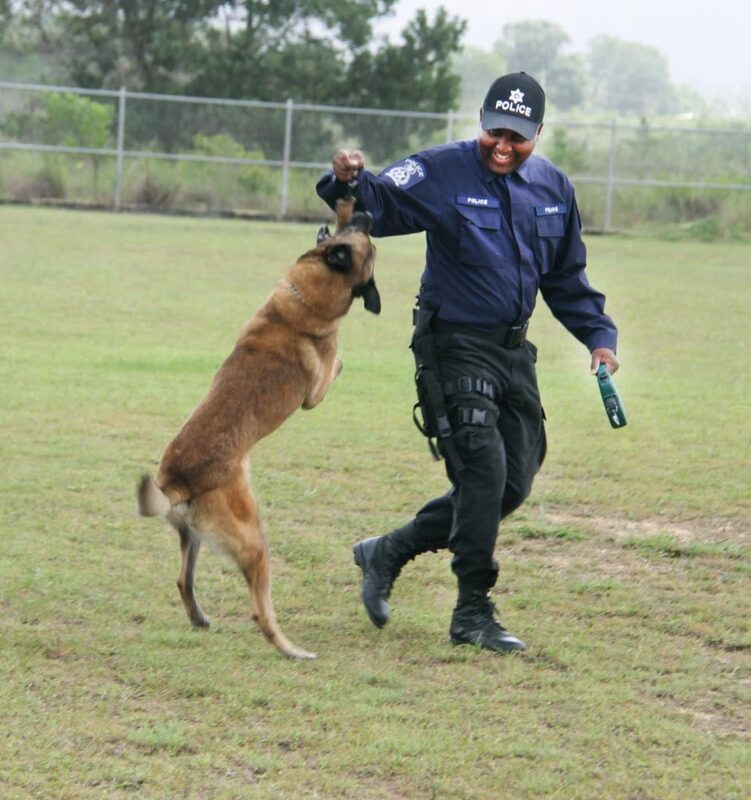 Dani undergoes training with his handler Cpl Stephen Swanson of the TT Canine Police. Swanson delivered KFC before joining the police service in 1998 and becoming one of six members of the 26-dog canine section of SAUTT, the Special Anti-Crime Unit, which consisted of prisons, army, police and Coast Guardsmen. 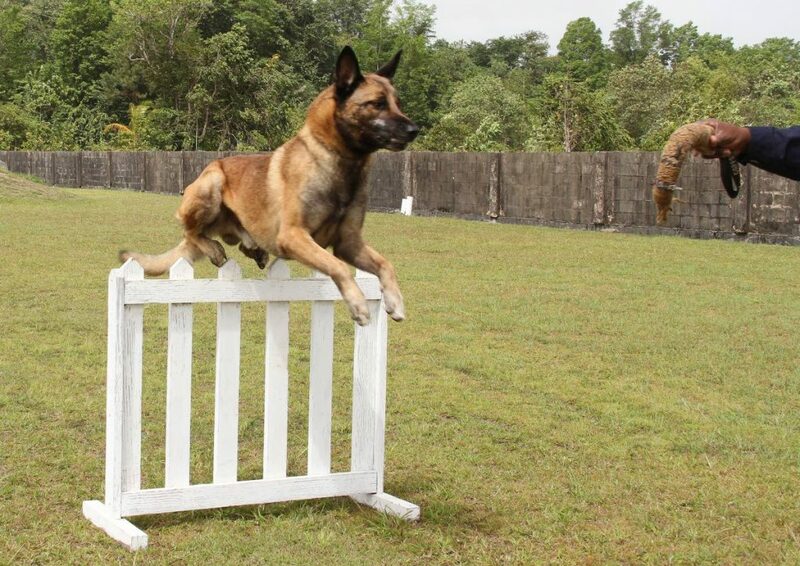 When SAUTT was disbanded, he became a police dog trainer. Together, Swanson and Dani have embarked on many working adventures, searching for bodies deep in Biche’s forests or climbing Debe’s hills. They’ve covered beaches and swamps. Dani searches off-leash, spinning around periodically for Swanson’s hand signals on where to try next. His training is a secret, but his work is not. A cadaver dog is used days after a suspected death as opposed to a tracker dog, which searches for live human scent. For cadaver dogs, it works like this: “The body bloats and bursts and the dog tracks the body fluids,” says Swanson. 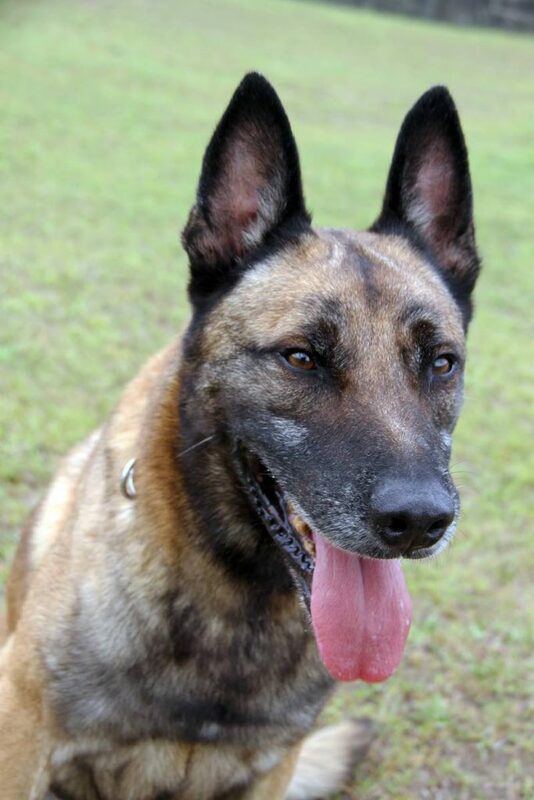 Dani performs a job in the police Canine Unit that no other dog can do –he is a cadaver dog who searches for bodies. When on duty, Swanson carries a long metal probe to poke the ground in areas suspected of holding a makeshift grave. Too much rain or sun impedes a search, “but the wind helps a lot once the body is above ground,” says Swanson. The cadaver unit has a history that dates back to PC Vincent Hinds and a golden retriever named Red, the first cadaver dog in Trinidad. “Red always seemed to be smiling,” says Hinds. Red arrived here as a bomb detection dog in April 2006. “Within a week, authorities decided there were so many murders (there were 368 that year, which seemed like a lot at that time) and they weren’t finding bodies, so they wanted a cadaver dog. Red and I had formed a close bond, so we were chosen. “I thought it would be a great opportunity. There were no other dogs doing this work in the Caribbean. 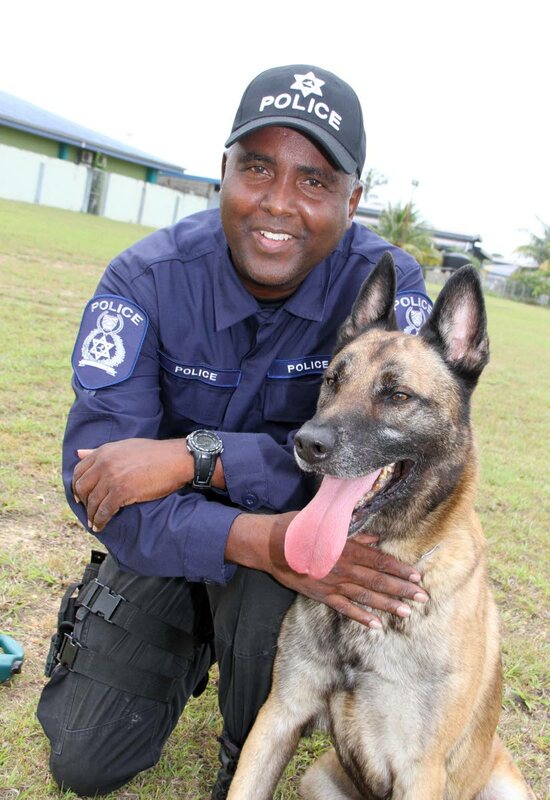 We were among the few units in the western hemisphere,” says Hinds, who often wears a Cadaver Unit polo shirt when tending to dogs in Caroni, the main canine unit. Trained by Anthony Pigaro, an American who once worked for the country’s canine branch, Hinds devised some of his own training methods, which included asking colleagues for urine samples. At the end of 2006, while still in training, Hinds and Red found the first of their three bodies when police got a tip that someone had been killed in Romaine Lands, Morvant. They also found bones in Maraval and Arima. Hinds now works in the bomb detection unit, but he says having a cadaver dog brought great satisfaction. “Remember, somebody’s family is missing. The family needs closure. After Red retired in 2011, he went to live with Hinds. Now, as the cadaver unit tries to grow, Swanson says, he’d like to see police use the unit more. In the end, Dani is the best hope of bringing that closure that cadaver dogs’ handlers long to give the families of missing people.